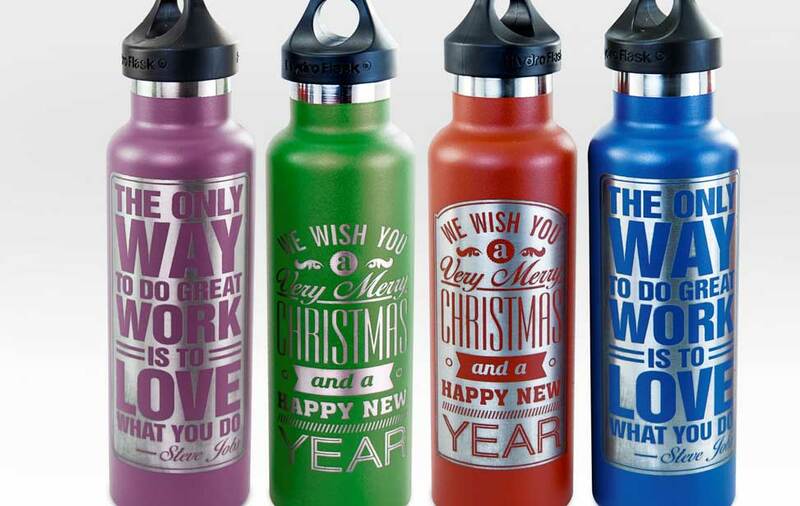 Powder-coated water bottles are super popular right now and we're happy to find they laser engrave beautifully, too! 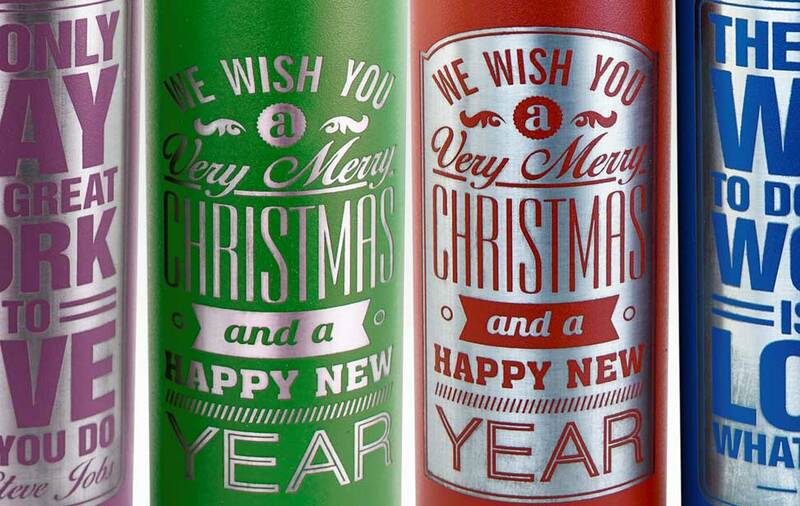 These colorful bottles are easy to engrave - whether you go with a holiday design or other personalized message, these colorful bottles make great gifts for nearly any occasion. 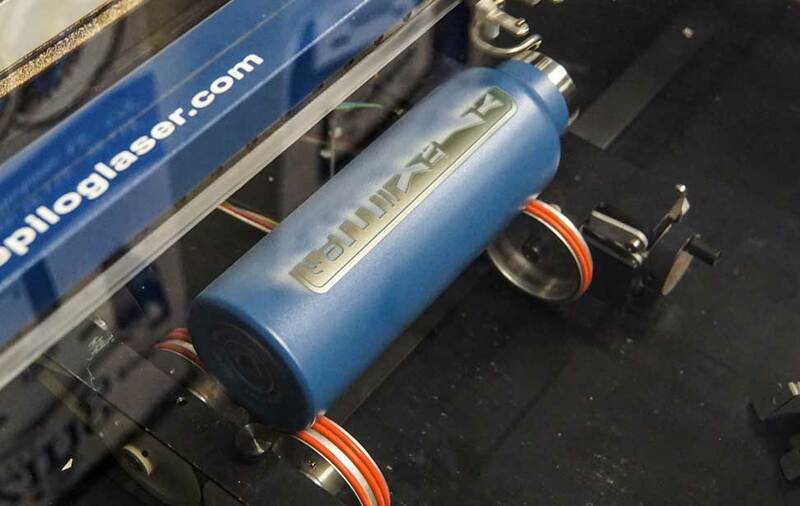 Colorful powder-coated water bottles customized with an Epilog Laser system. 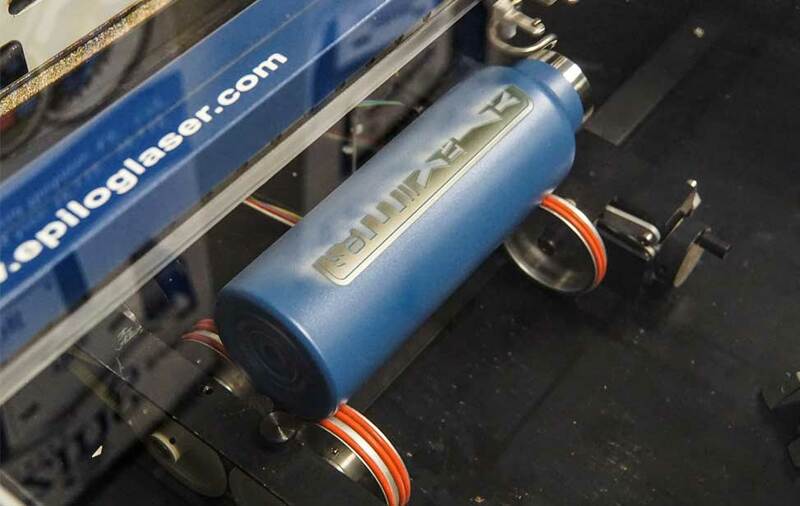 Attach the water bottle to the Rotary Attachment and you're ready to laser! Powder-coated stainless steel water bottle. We purchased ours from Amazon.com.